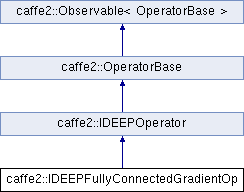 Definition at line 72 of file fully_connected_op.cc. In mkl-dnn,weight gradient shape is determined by X_in, so we should ensure that weight gradient shape is consistent with weight shape. Definition at line 83 of file fully_connected_op.cc.